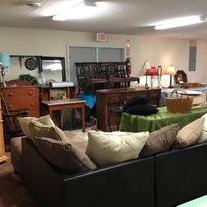 Whether you have one rare, high-end antique, a collection, down-size or a loved ones estate, we here at Pickers Auction Company will handle your item(s) with honesty, integrity and the utmost respect. 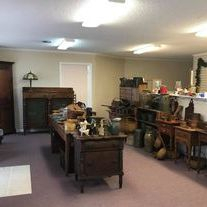 We believe presentation and representation are EVERYTHING and it shows in what we do.Your items will be represented in the best possible manner with Pickers Auction Company. And, please don't forget - we do all the hard stuff so you don't have to! If there are multiple heirs, make sure everyone is on the same page. Know that we are working for YOU, the seller! Don't be overwhelmed - let us do the work for you. 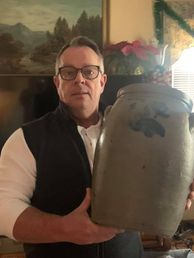 Pickers Auction Company is a full-service, cutting edge auction company bringing estates, collections and downsizes right to our followers on our Facebook page - Pickers Auction. After over a dozen years of doing gallery auctions, we took our auctions to Facebook - LIVE - in November of 2017. We are the first in the country to bring live, bid-call auctions onto the Facebook platform, giving our customers the live bid experience from the comfort of their homes or virtually anywhere! 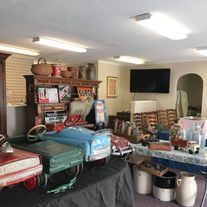 The combination of an experienced 30+ year picker and licensed auctioneer, an experienced team, and the easy to use Facebook platform makes joining our auctions fun and exciting and ensures a successful auction for the seller!! 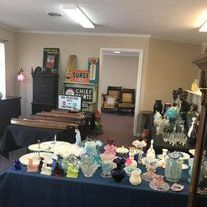 We not only offer auctions on Facebook done from our studio or warehouse, both located in Weber City, Virginia but we can also now do live auctions and tag sales on Facebook directly from your estate, home, storefront, etc. 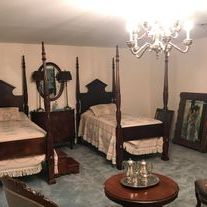 If you have an estate or collection or down-size, give us a call at 423-292-1426.